Have you ever thought about the fact that photographers love to share photographs of the final destination, but they love to tell stories about the journey they took to get the final shot? Adventure photography is the style of photography you can shoot to incorporate visual representations of the journeys you take. However, you can’t simply shoot the classic outdoor scene and put a person in your frame. There are very specific techniques photographers should learn to shoot adventure photography. The most important thing to learn to start shooting successful adventure photographs is your subject placement. This is clearly evident when you study images shot by accomplished adventure photographers vs. those without experience. After figuring out subject placement tricks, your adventure photographs will drastically improve! Speed is a huge factor of adventure photography. Classic outdoor photos involve a lot of waiting around for the right conditions. Adventure photography is full of fast-paced moments that are gone in the blink of an eye. Capturing those moments is imperative to a great adventure shot. In addition to the detailed video help you’ll receive, this class provides you with a downloadable class guide that was designed to complement the topics you’ll explore so you can take notes as we examine adventure photography. David Johnston has been a photographer and a photography instructor for several years. His experience began with film cameras, with which he learned to shoot completely in manual mode. With the switch to a DSLR, his obsession with photography began. David started reading and sharing any photography information he could get his hands on – and now wants to share that knowledge with you. When David is not working on articles and podcasts for his Photography Roundtable website, he’s out shooting, trying to capture never-before-seen light in amazing landscapes. 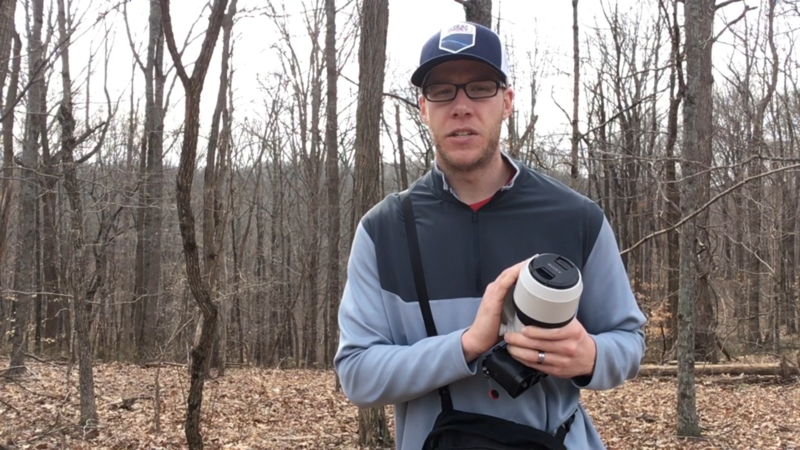 David is also a photography workshop leader, frequently leading visitors in his favorite park, Great Smoky Mountains National Park, as well as other locations around the United States. Q: Do I have to be a Member of Outdoor Photography Guide to purchase a Class? A: No you don’t. While Premium Members will receive regular offers for special deals on OPG Academy content, Classes are not reserved exclusively for Members. If you buy a Class as a non-member, we’re sure you’d also enjoy having access to our full library of great photography videos and articles as a Member, so give it a try. Q: How do I access/view my Class? 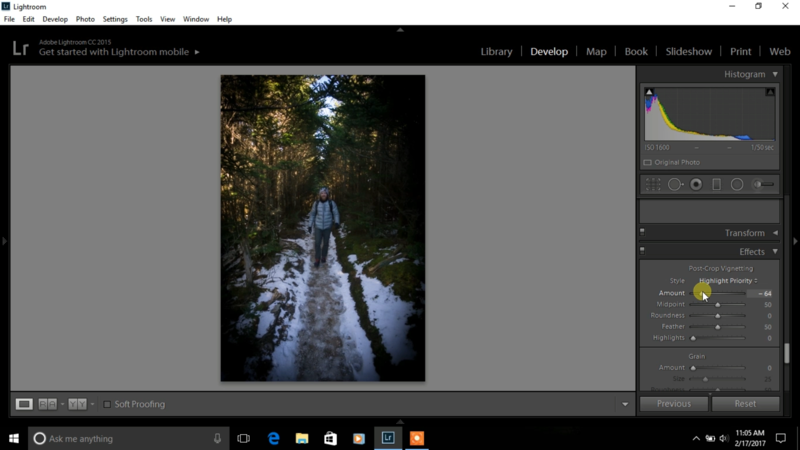 A: Once you’ve paid, you can access/view your Class by going to the MY ACCOUNT section of Outdoor Photography Guide. The MY ACCOUNT link is in the upper right-hand area of the website. Within your MY ACCOUNT, a section labeled “My Classes” will appear, including a link to watch the video of your Class. You’ll also receive an email confirmation after your purchase, which will include a link to view your Class. You can access your Class as many times as you wish, and you’ll never lose access to your Account information. Just be sure to “Log In” for access to MY ACCOUNT. Q: Can I view a Class on my tablet device or mobile phone? A: No problem. Most newer-model smartphones or other mobile/tablet devices with an internet connection are able to play the Class videos. Simply Log In on Outdoor Photography, and you can view any Class you’ve bought through the MY ACCOUNT section. Or, you can click on the “View Class” link within the email confirmation you’ll receive upon your purchase. Q: How does the Class Q&A Resource benefit work? A: Once you purchase any Class, within the Class viewing page, you’ll have access to post a question, comment or tip in the Class Q&A Resource area. This is not a “live chat,” but your Class Instructor and OPG contributors will answer posted questions and provide tips regularly. You can also view other Class participants’ questions and input to take part in this virtual dialogue among others who have taken the Class and are willing to share tips, answers, or ideas. Q: Why do you need my email? A: We need it to acknowledge your purchase of a Class, and send you a confirmation of your transaction. Also, in order to maintain your permanent access to the Class videos, you’ll need to Log In to outdoorphotographyguide.com. We guarantee that we will not share your email with any third parties. You may receive email updates from OPG from time to time, with details of new Classes and updates. You can easily unsubscribe when you receive any email. Q: How do I contact OPG Academy? A: If your question is about the Class content, please use the Class Discussion benefit to ask your question online – and you'll receive feedback from the Class Instructor. Even your fellow Class participants may jump in to offer tips and advice from their experience. If you have other questions or need help, you can email us at OPGsubscription@program-director.net or call us toll-free, at 1-855-231-0652. Service Representatives will be available Monday-Friday, from 8:00 AM to 4:30 PM Central time, excluding normal holidays. 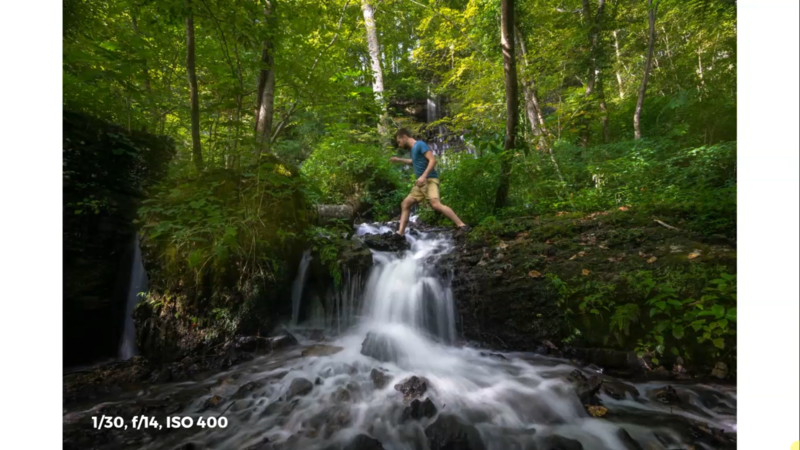 In this session, we’ll go over the similarities and differences of classic outdoor shooting styles and adventure photography. We will focus greatly on how to adjust to the fast pace of adventure shooting. Adventure photography is great when you start to incorporate the gear you rely on in harsh conditions into your shots. We will also cover how to shoot documentary style for better storytelling photos. With an emphasis on speed, adventure photographers need to have fast access to their camera and lenses. In this session, you’ll see how to get faster access to your camera to capture amazing moments. 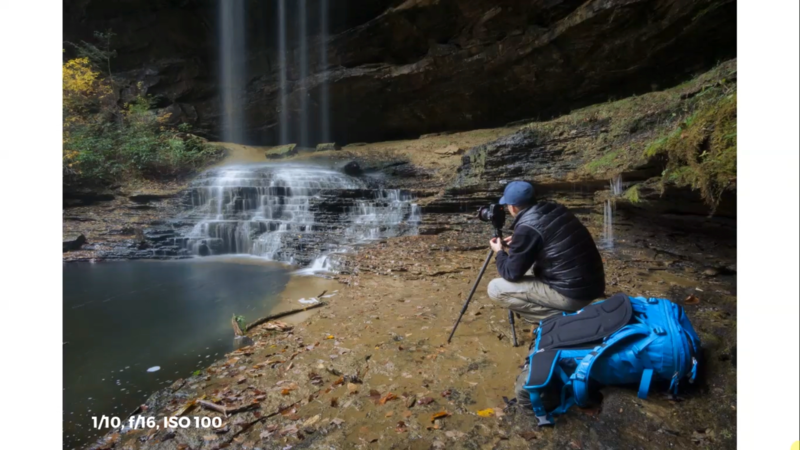 In this final session, you’ll learn some techniques on how you can make your adventure photography even better through editing with Lightroom.